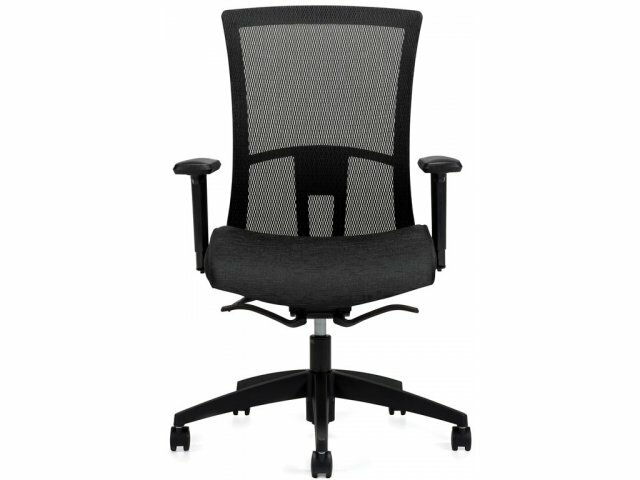 The Vion Synchro-Tilter Task Chair offers a clean transitional design and exceptional comfort adjustments for a healthy, ergonomic work experience. 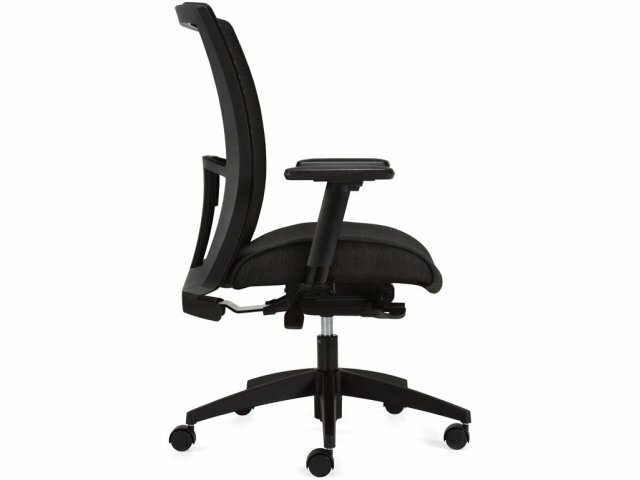 With a perfect fit that provides full-body support, today’s professionals can focus longer while feeling better. 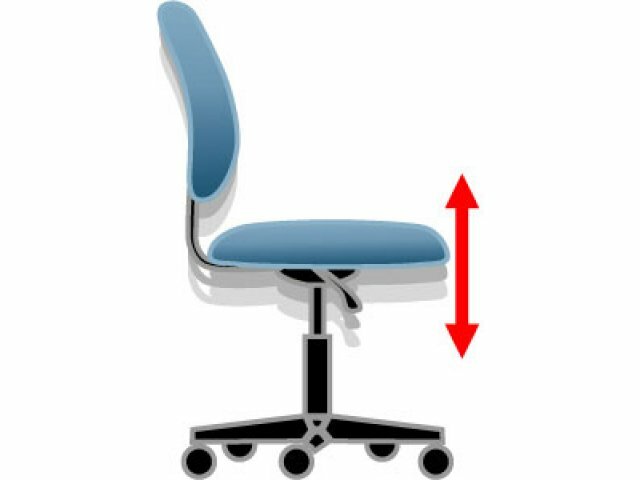 This innovative weight-sensing synchro-tilter requires no tilt tension adjustments - it's always set just right for everyone. 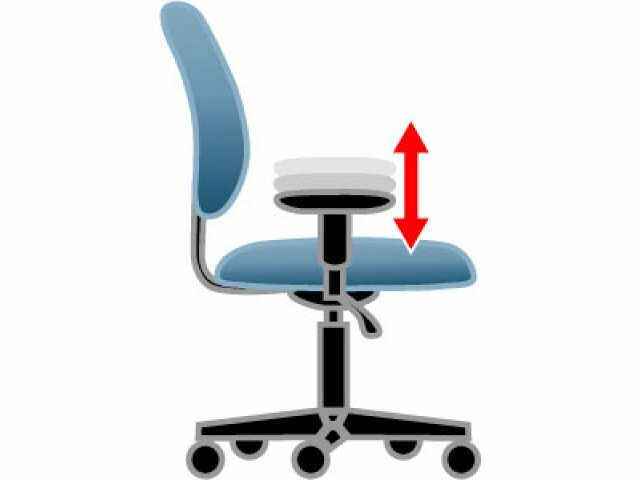 Spring-balanced height- and width-adjustable arms promote proper positioning for the shoulders and upper body, while a height- and depth-adjustable waterfall seat helps maintain good blood flow. 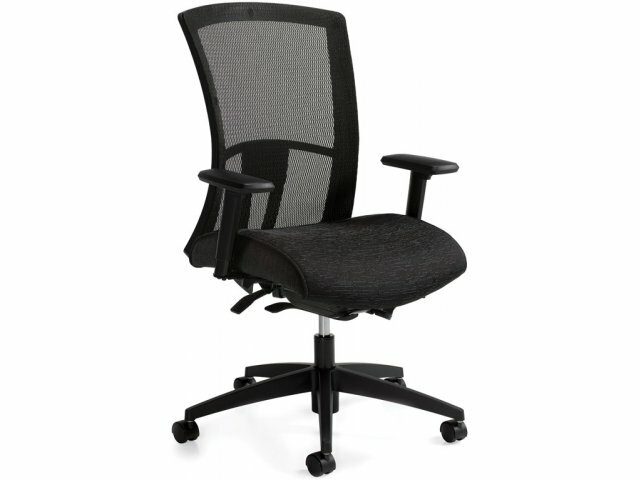 This ergonomic office chair is a vision of contemporary design. 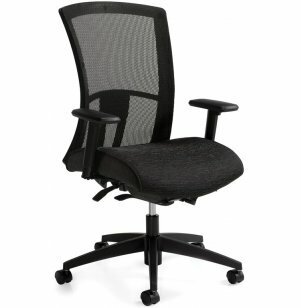 The contoured mesh back and seat cushion create an enticing curvy profile with a healthy airflow. 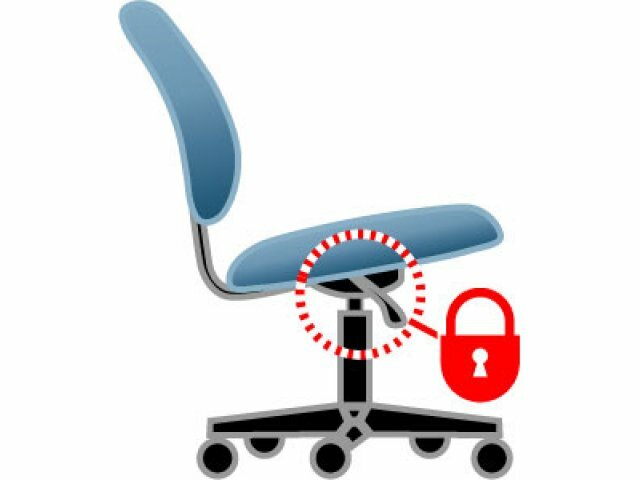 With this smooth combination of modern aesthetics and custom adjustments, professionals might just find themselves wishing they could spend more time at the office. 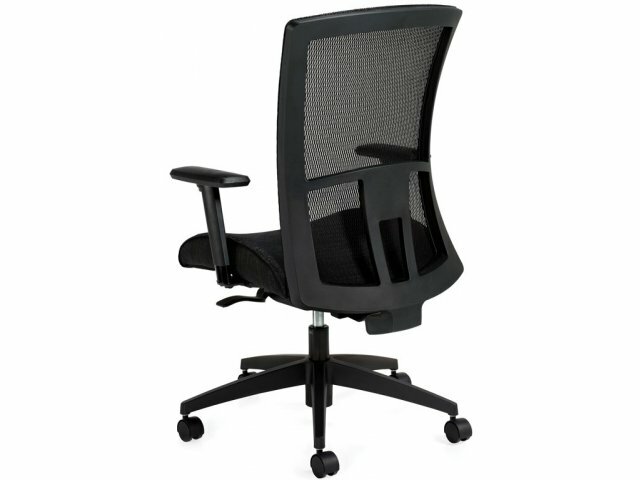 Good Ventilation: Mesh back promotes healthy airflow to keep professionals cool. Cozy Contours: Cushions support the body effectively, allowing you to sit longer without discomfort. 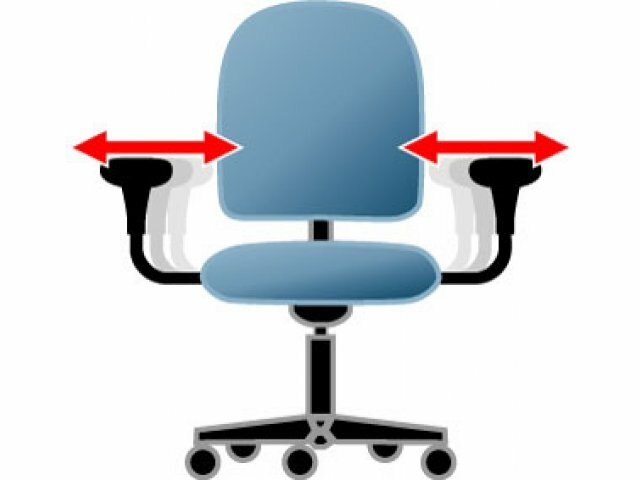 Perfect Alignment: Standard height- and width-adjustable arms feature a front-to-back sliding armcap. 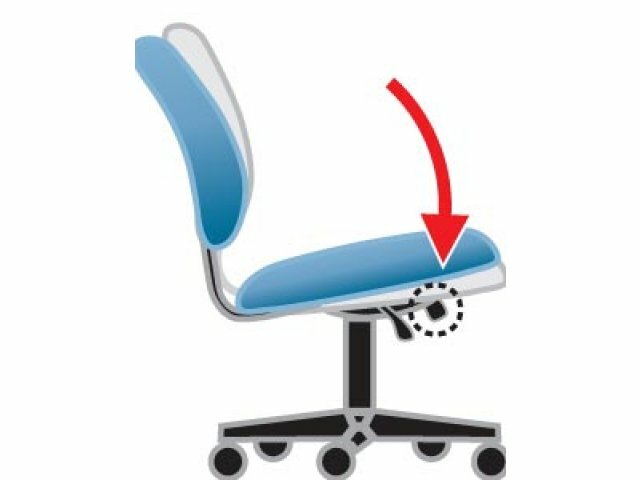 Automatic Adjustment: Weight-sensing synchro-tilter automatically puts chair tension in the ideal setting for each person. 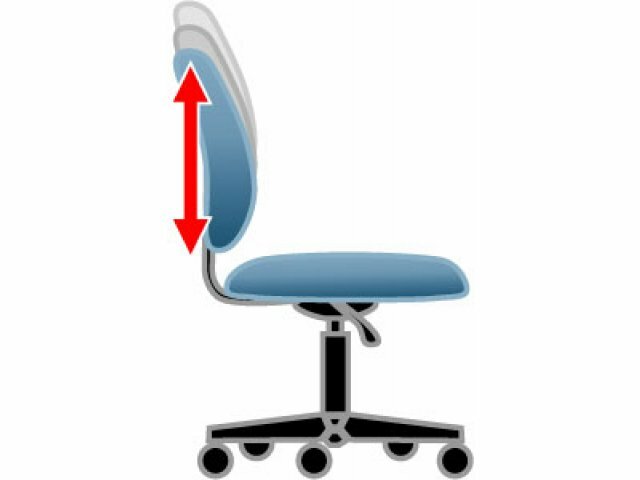 Synchro-tilt enhances comfort and encourages dynamic body movement. 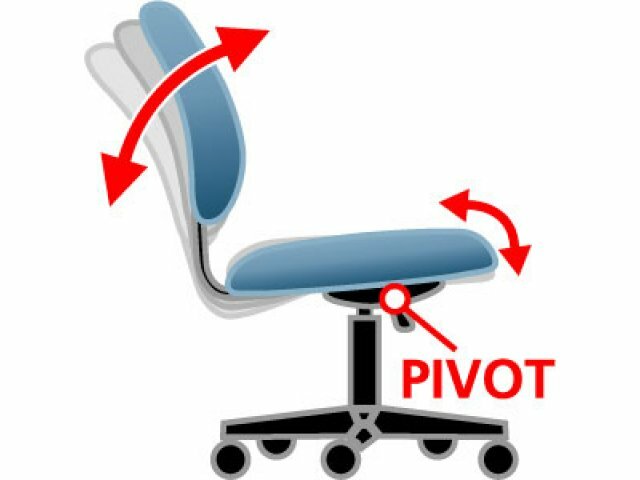 Ergonomic Settings: Lock the tilt angle to accommodate your working posture. 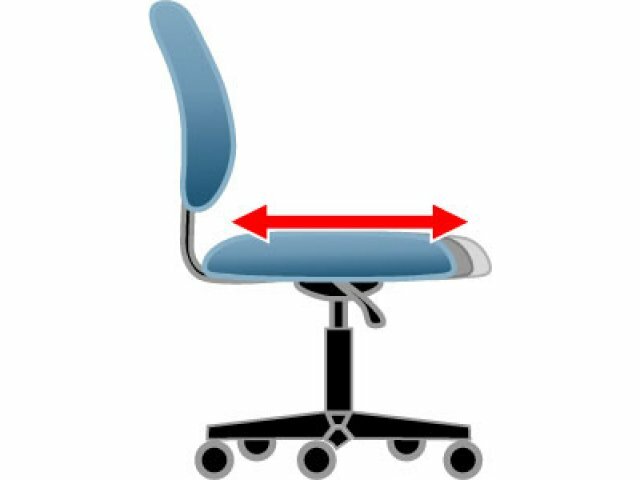 Healthy Positioning: Pneumatic seat-height adjustment and waterfall seat edge let you rest feet flat on the floor for good bloodflow.